Anyway, I am participating in her blog hop to celebrate! Let’s get started. UMMM… Shall I make a list? I try not to step on cracks when I walk on the sidewalk. I try to step on crunchy leaves during fall and winter and I try to step on seaweed bulbs at the beach. I bought Taylor Swift’s physical album of 1989 even though I already had it on my phone for the polaroids. I like banana-flavored things and food that has bananas in it but I despise actual bananas. I heard that Markus Zusak is Australian, so The Book Thief obviously. I like discussions a lot. It’s fun to express my own opinions while hearing others’. I JUST READ IT IT’S SINCE YOU’VE BEEN GONE and my heart is dead. more race diversity–I think this is very important so that everyone can connect to characters. setting diversity–I ALREADY KNOW ABOUT THE USA. Tell me about Russia. 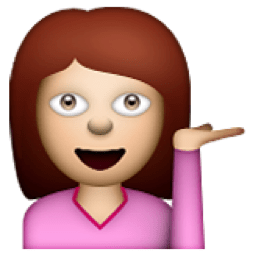 sexuality diversity–I’m working on it, children. food diversity–Not everyone eats pizza 24/7. Even Americans! are you excited for Emily? have you done the blog hop? tell me in the comments below. UM. MINIONS. IT’S HAPPENING! IT’S MY ONE-YEAR BLOGOVERSARY! And I didn’t get any cake. -_- I am obviously living the wrong life. I have been blogging for one full year now. 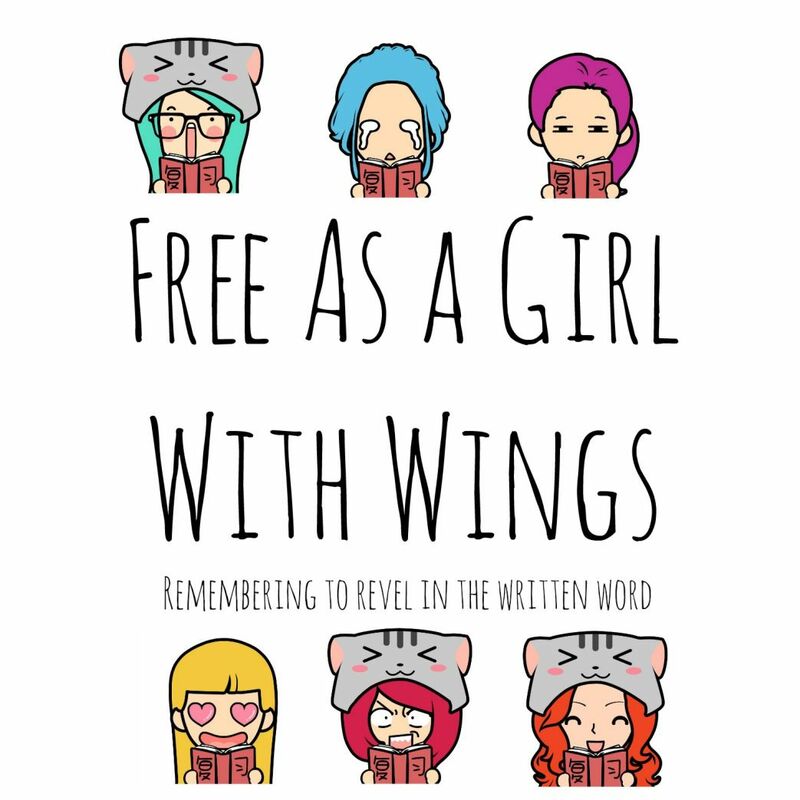 On this day, in 2014, I typed up my first blog post on Free As a Girl With Wings and pressed “Publish.” On this day, in 2014, Free As a Girl With Wings began. My adventure of online friends, new books, and everything else fantabulous began on this day, one year ago. And before I launch into a whole discussion, I want to say: THANK YOU. You, my minions readers, are the reason I am writing this post today. Without your comments and encouragement and all that support and love, I never would have blogged for one year, or even dreamed of blogging for longer than that. A want to say some special thank you’s to the bloggers who have inspired me and helped me on this long journey. 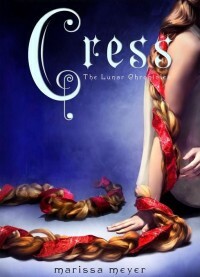 Sam @ Bookish Serendipity: You are the reason this blog even exists at all. You were the first book blogger I ever met and you are my biggest inspiration. You will always have a special place in my heart. And maybe even one day we can meet each other at BEA. :) Thank you so much, Sam. Evi @ Where Books Never End: Although we don’t talk as much as we should [maybe Pinterest messaging can change that :) ] you are the bestest bloggy friend ever. We have so much in common and you are so easy to talk to. I can’t wait to see your blog grow and change, and see our friendship flourish. A thousand thank you’s, Evi! Cait @ Paper Fury: I don’t know if you know this [you probably do] but you are the ultimate blogging goal for me. You are the queen of the blogging community. Your posts are perfection and your personality is beyond amazing. :) I think you are a wonderful person and role model. Thank you, Cait. John @ Teens Can Write, Too: Your blog opened my eyes to the world of querying [is it quEEr-ee-ing or quER-ee-ing???] and publishing. All your content is done really well and it educational, but fun. I especially appreciate your friendliness on Twitter and all the conversations we’ve had, especially our latest one where you encouraged me about my writing and were a true friend. I really appreciate all that you do. Now that I’m done with the thanking, I’d like to share some of my experiences and what book blogging and the community has taught me. I’m not alone. I’m not the only crazy fangirl. There are others like me! This is one of the best things about the book blogging community; we’re all crazy. And we stick by each other through it all. Books and writing are a huge part of me that I should embrace. Before I was a book blogger, I read a lot and I loved it. But reading was just…there. Once I started blogging, I realized that I am a bibliophile. Bookish. Fangirl. It really opened my eyes and let me be who I really want to be. You’re not always going to be perfect. I mean, I kind of already knew this, but I have experienced this in book blogging. My first posts compared to now? O.O It’s not pretty. Blogging takes a lot of practice. And once I did get into the rhythm of things, I would always compare myself to other, more experienced bloggers. And I learned that although my posts may not always be as perfect and flawless as theirs, that’s okay. BE YOU. The blogging community is really great because no one is afraid to unleash their inner crazy, loony, weirdness. It’s the best. No one is pressured to confirm to some social norm–we’re all outcasts. 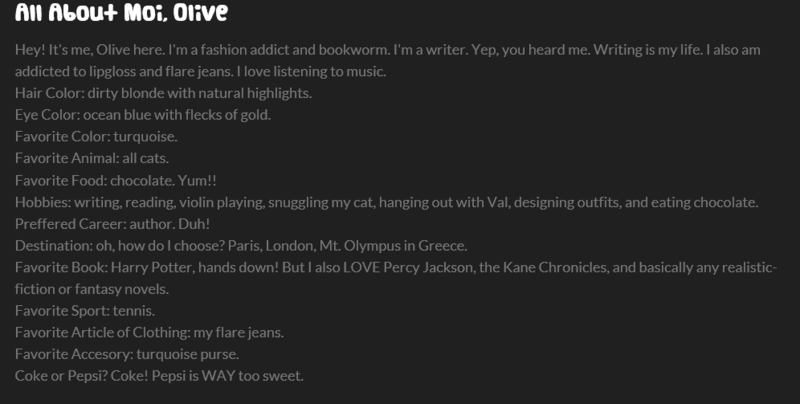 To wrap this *celebration* up, I’m going to show you some [embarrassing] screenshots…of my past “blogging” experiences. OMG. I made it with my then-best friend. We used pseudonyms, as you can tell. And my “fashin” tips. I CAN’T BELIEVE THAT TYPO. BTW, these tips are totally…horrid. I can’t even. Okay so what was I even thinking??? I have gone so far from my first posts and these [horrid] blogs. Thank you to everyone who follows me, comments, and likes my post. You are all beautiful, wonderful people. DFTBA. I am going to be going self-hosted. It’s happening! Very soon, probably in the next couple of weeks. I am guessing you have some questions, so here are a few I thought of. All the posts, comments, pages, menus, and widgets are transferred–which means I don’t have to! I am changing it to The Book Hugger. My focus has changed since I started blogging, and my current name just doesn’t work any more. My URL will be thebookhugger.com, unless it is taken already. Will there be virtual cake? A personal, handwritten thank-you note from me, personalized and lovely. So be sure to comment right away and try to be one of the first fifteen! It will be open for 48 hours ONLY. Will there be a party/anything special that we can participate in? Well of course there will be a party…complete with virtual cupcakes, chocolate, and fondue. [Fondue is really cool and fun to eat, am I right?!] And awesome printable party hats that you can take pictures of and share on Twitter with the hashtag #thebookhuggerparty and I will favorite ALL of zem. I will also make a blog hop [if that’s what it’s called…] that you can participate in! Yay!!! Along with this fabulous party and blog hop, I will be sharing my past of blogging. Because, believe it or not, I had a few blogs when I was younger. They were horrendous and I never kept up with them, but they seem like something you’d want to see. I will also be sharing a snippet of my hero’s quest novel for school that is very exclusive! Be on the lookout for that wonderful party, my minions. Are you excited as I am? I hope so! Share your experiences with self-hosting and any questions in the comments below. I was nominated by Bridget @ Stay and Watch the Stars AND Rebekah @ Horse Feathers. Thank you so much, both of you! <3 I will be doing both of your questions, because, why not? It’s a tie between The Book Thief by Markus Zusak and The Fault in Our Stars by John Green. CATS. ALL CATS. They’re so furry and soft and adorable and cuddly–I JUST CAN’T. I also find them quite intelligent and peaceful. Would you rather write a best selling book that everyone loves but you, or write a book that only you love? I can’t answer this. Just, no. What’s the longest amount of time you’ve spent marathoning a movie/ TV series? I’ve never done this. :( I want to, but I never have, IDK why. Because I saw another blog and I just had to make one EVEN BETTER. It’s because I saw Sam’s, and I thought it would be cool. Bam–blog! That is technically in the world. I am currently listening to “Ours” by Taylor Swift. OMGOMGOMGOMGOMGOMG why must you torture me so??? My favorite book changes a lot, so I usually go with my old standby: “Harry Potter.” But I’m feeling…different [nope wrong word] special [no again] adventurous today, so I’m going to go with Daughter of Smoke and Bone by Laini Taylor because I am reading the trilogy right now and it’s just FABULOUS. Ummm personal much??? Jk, jk, it’s cool. What is your favorite and least favorite food? It keeps the dementors away. I’m going to add “besides being an author.” And then “besides feminism activist.” Because those are two jobs I’m 60% sure will happen, and I like to dream of the impossible. I would actually really like to be a flight attendant, You get to see the world! But this probably won’t happen because it takes a lot of training. And you have to be able to walk on a moving plane. In heels. And I can hardly walk in heels on non-moving ground. So. Not the job for me. Are you good at Mario Kart? You make me answer thus question? And offend trillions of people? Ah, no. I like the idea of it. But not the bugs. Or dirt. Or lack of wifi. Have you ever ridden a horse/pony? I have ridden a horse before. TWICE actually. 1. What is your favorite GIF? 2. Have you ever met a “famous” author? What was it like? 3. What color would you dye your hair? 4. Coke or Pepsi? Why? 5. 2-10 fandoms you’re in! 7. Least favorite book? Why? 8. Favorite type of chocolate–white, milk, or dark? 10. Pics of your lock screen and home screen on you phone, if you have one. If you don’t, what would be those pics. And YOU! If you would like to participate, just leave the link in the comments below and I’ll check it out. :) And if you’re a guy, feel free to change it to “Peoplehood” or something. Have a fantabulous day/night/afternoon/morning/evening. What would you like to see me post? Tell me in the comments below. I was originally going to do a rant-post but decided to do Sam @ Bookish Serendipity’s linkup instead. Who wants to hear a bunch of my school angst, anyway? This will be much more fun. Well, it hasn’t been a year since I started blogging! But I definitely have improved since the beginning. I didn’t even classify myself as a book blog. [I didn’t choose the book blogger life; it chose me. :P] I didn’t start writing real reviews until June 2014 [I began blogging in the beginning of February]. I recently gained a lot of followers [Thank you, everyone! ]; I am now VERY close to 100. O.O I went through a few designs, too, and finally found one I like a lot. I’m hoping to learn coding in the future and design my blog so it’s perfect, though. In your opinion, what is the best part of blogging? I think my favorite part of blogging, especially in this bookish community, is meeting other readers and writers. I don’t have any IRL friends who write seriously. And I’ve gotten so much advice from them to improve on my writing. 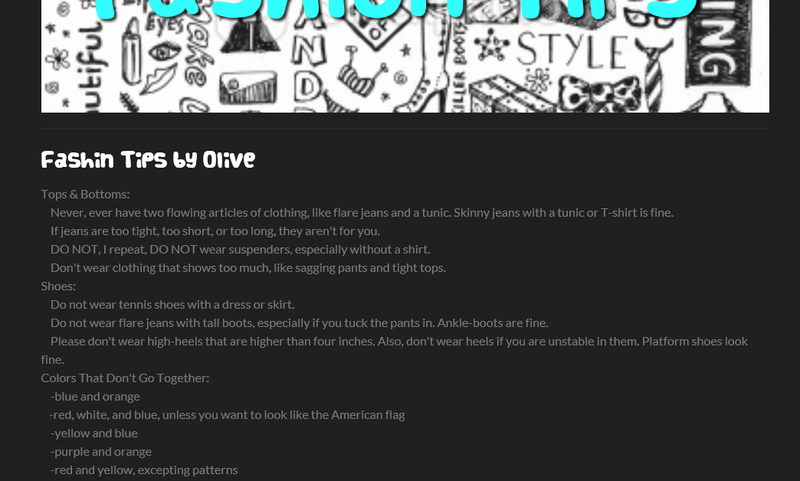 And I can fangirl on my blog with all of these fantabulous people! I discovered Sam’s previous blog, Young Writers Café, through the internet, and was immediately entranced. I decided to do something like that, and now, here I am! Do you have any role models? Favorite blogs? Name a few of your favorite 2014 releases? What’s your advice to new bloggers? Comment on other blogs that are similar to yours. This way you can join a whole community of bloggers whose interest are similar to yours. Post meaningful content. If you’re bored and don’t know what to blog about, don’t blog. It will probably be boring [no offense] and not be very interesting to read. You can, however, create a list or something of things to blog about so you always have interesting and new content. Be yourself. If you are part of a blogging community, you probably know people like you. It is important to be yourself instead of trying to fit in. It’s different than school. Name a few of your all-time favorite reads? Do you have any New Year’s resolutions? What are some of your goals for the upcoming year? I don’t know about you, but I recently learned that WordPress has many more features I didn’t know about that are [kind of] obvious. The second mind-blowingly ridiculously simple feature is the parent category option for a page. I wanted to clean up my blog a bit [I had A LOT of pages] and remembered seeing on another WordPress blog a drop-down list of sub-categories. I used this, and now my blog is much more organized and clean. This next feature I’ve known about for a little, but I thought I’d mention it just because. On many websites, there is a little icon next to the URL/name of the tab that is their blog’s symbol. For example, the Pinterest symbol is a cursive P surrounded by a rec circle, the NaNoWriMo symbol is a red N in a blue block [for YWP], and the Google symbol a lowercase G in white surrounded by blue. You can do this for your WordPress blog, too, for free! It’s really simple. Just go to “Settings.” On that bar, click “General.” At the right of this page, you have the option to upload an image as your blog’s icon. Upload, crop, and voila! You have your own, professional-looking icon. Next, here is a hack anyone can use. The code generator is pretty self-explanatory, but I decided I’d walk you through the process of designing a blog button and how to put it on your blog, for WordPress users. Step 1: Find an image creator/editor to design your button. I use PicMonkey. Many of the features are free and it’s really user-friendly. You can use Photoshop, Photo Director [what came on my computer], or if you have a Mac you probably have something fancy. Paint, which comes on PCs, could work, too. You can also download a free app onto your phone/tablet and email it to yourself later. Step 2: Decide on the design. Your button should have your blog’s name. That’s the only requirement. [Or at least, what I think is.] But that would be…boring. So add an image! On PicMonkey, they have several “stickers” you can put on your button. Consider using these! If you want to add a different picture, make sure it isn’t copyrighted. [To be honest, copyright issues aren’t something I prioritize, but you might.] On my blog button, I have six little people reading a book and reacting differently. These are my own images I made using FaceQ, an app I have on my phone. It’s free and really fun to use, so you could consider that! Step 3: Upload it to the internet. Step 4: Use the Code Generator. Follow the directions on the generator. You will need your blog’s name, blog’s URL, and the image URL. The second part after that easy information does not need to be changed. Unless you know exactly what you are doing, do not mess with it. There is, however, one exception: the Container Type. This is the first bit. If you are on WordPress, check the box marked “Pre” because WordPress is special. Step 5: Get your code and paste it into your blog. To WordPress users: Go to your blog’s dashboard. Click Appearance, and then Widgets. Scroll through the widgets and select Text. Add it to a footer or sidebar. Paste the text into the text box and click save. I hope this post helped. Otherwise, you can laugh at me. :P JUST KIDDING. Love you and have a fantabulous day/night/whatever! I sometimes feel like we [bloggers] don’t get enough love. Or maybe it’s just me. But even when others read our posts and enjoy them [I do this, too, come times. :(], they don’t comment or like the post. So here are simple ways to please a book blogger, or any blogger in general. I just consider myself and the community I’m in to be book bloggers. Like the post. It’s not that hard! Yet it means so much to us. I recently passed 100 likes, and it felt great. If you don’t have time to comment, just click “like” and know that that might have made my day. :) It’s at the bottom of a post, and you just click the button. Ta-da! Comment on a post. This is also really easy, but can take longer, depending on the length of your comment. A simple “Great post!” or “What an interesting book,” will suffice. If a question is asked in the post, it can be nice to answer that, too. A lot of bloggers respond to comments. I respond sometimes [Sorry! ], and mostly if it’s a question. But comments let bloggers know what readers think and encourage us to post more. Follow a blog! If you really love a blog, they will usually have a button or spot to put your email so you will get emails when a post is put up. This is a huge think for bloggers. “How many followers do you have?” “Fifty-three.” “Oh, cool, I have thirty-seven.” It tells us who is regularly reading our blog, even if they don’t like or comment. Following blogs is also a great way to promote your blog. A lot of bloggers will check out the person’s blog once they follow them. It’s really important to go on other blogs to make yours more well-known! Repost. Some bloggers don’t like this, but I don’t mind. If you really love a post, you can usually repost it on your blog. You should always check the blogger’s “About Me” page or “Policies” before you repost, because some find this unoriginal and unnecessary. If it doesn’t say anything, I’d say you’re in the clear. Share a post through social media. Lots of blogs have the option to share a post through Twitter, Instagram, Facebook, etc. There should be a bunch of buttons at the bottom of a post with social media links to them. If a blogger has an account on the social media, it can be nice to add their account name to it, too. Send them a message! Many blogs have a form to contact the blogger with. You just put in your name, email address, possibly some other information, and your message. It an be nice to just hear from a follower. I don’t have one of these, but others do. Email a post. This is also with the social media buttons. You can email a post to friends if you like it, too. It’s a great way to promote a blog. That is, if your friends even check their email. Just tell your friends! If you have other bookish friends, tell them about a blogger you like in person. Then you can talk about it, too! Do something nice for a blogger today, to let them know you like their blog. :) Or do each of these things! Now, there’s the ultimate kindness.